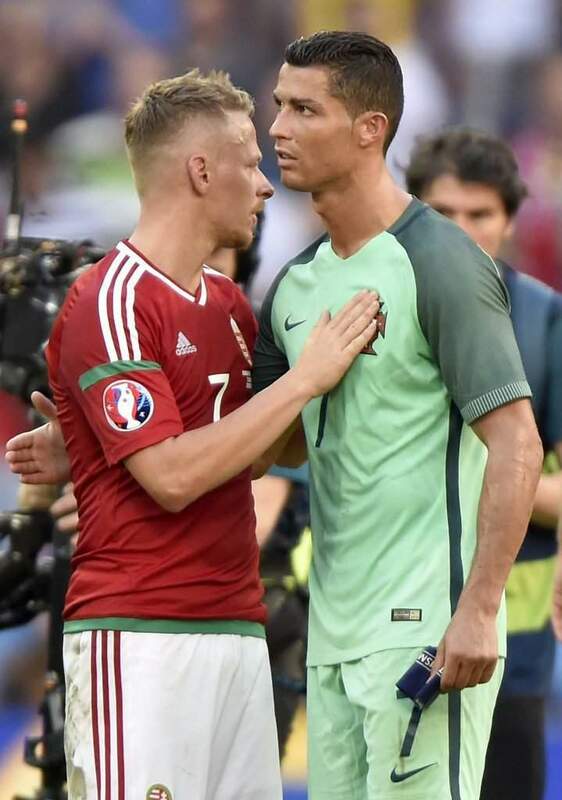 Balázs Dzsudzsák and Cristiano Ronaldo both scored twice as Hungary and Portugal served up a memorable match in Lyon, Bernd Storck’s team taking the lead three times only for Portugal to peg them back on each occasion. 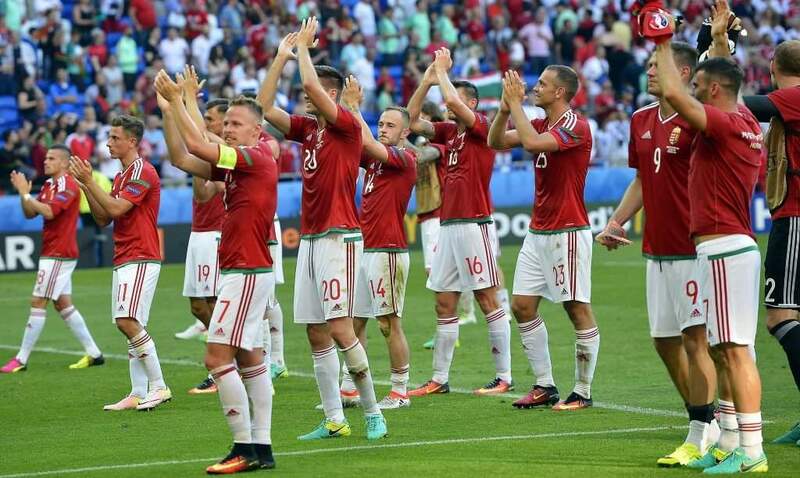 The 3-3 result sees Hungary book a last-16 date in Toulouse on Sunday against the runners-up of Group E.
With progression to the knock-out stages already assured, Bernd Storck as expected made a number of changes to the team which drew with Iceland on Saturday lest anyone pick up a second yellow which would rule them out of the next match. 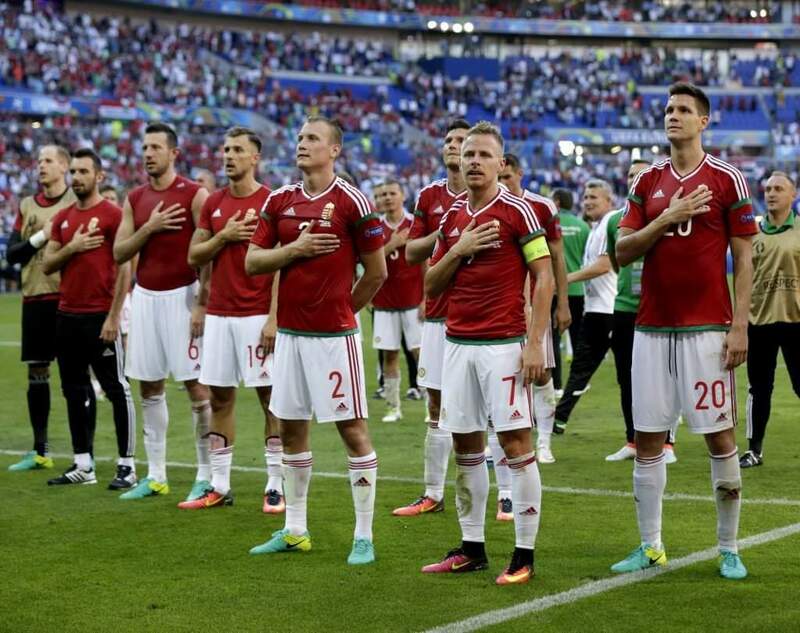 Mihály Korhut, Ádám Pintér, Ákos Elek and Gergő Lovrencsics came into the side for the first time in France and Ádám Szalai also returned to the team as Hungary sought to continue their impressive European Championship campaign. 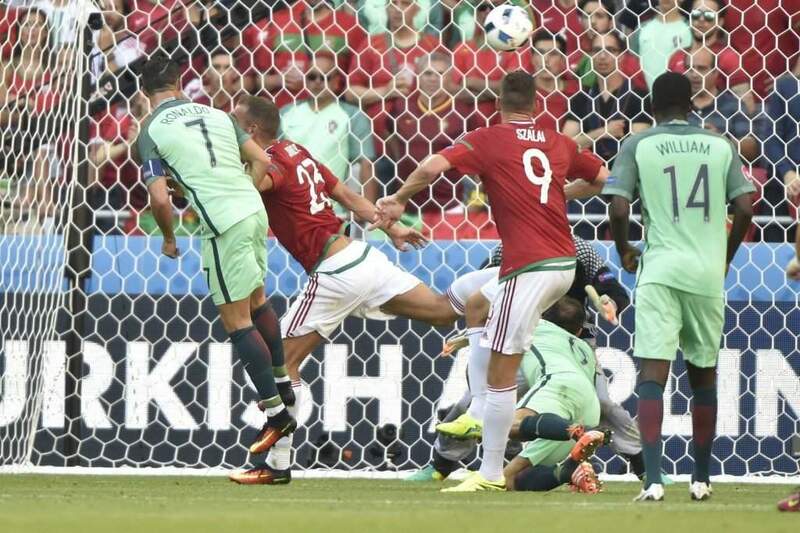 Portugal began on the front foot, forcing a number of corners in the opening minutes. 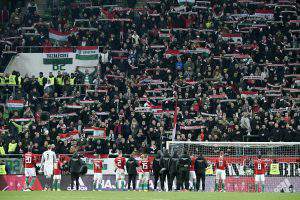 They were however, unable to seriously threaten a Hungary rearguard which was following head coach Bernd Storck’s call for disciplined defending to the letter. 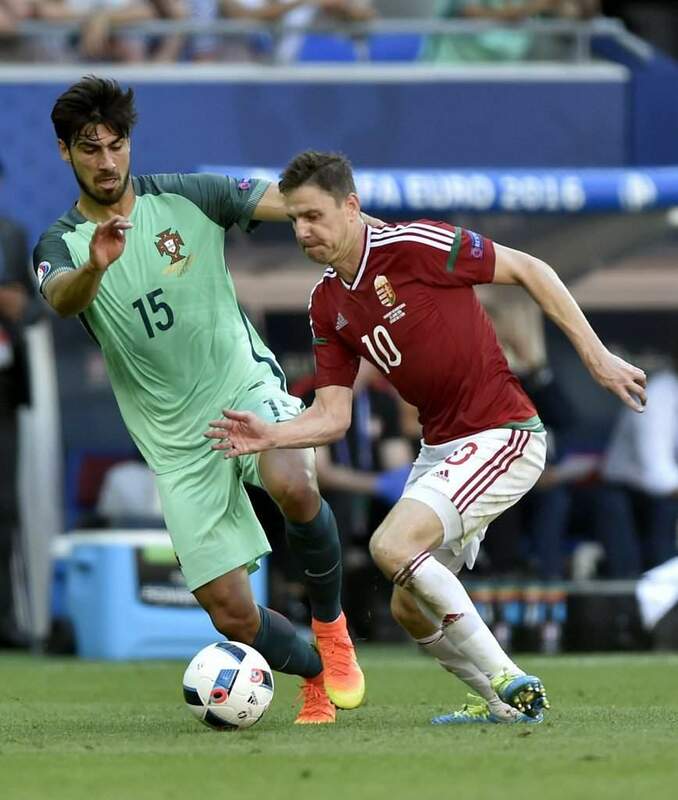 Hungary did offer threat on the counter, rapier thrusts from Balázs Dzsudzsák and Gergő Lovrencsics stretching Portugal down the wings as Pepe was twice forced clear ahead of a lurking Ádám Szalai. 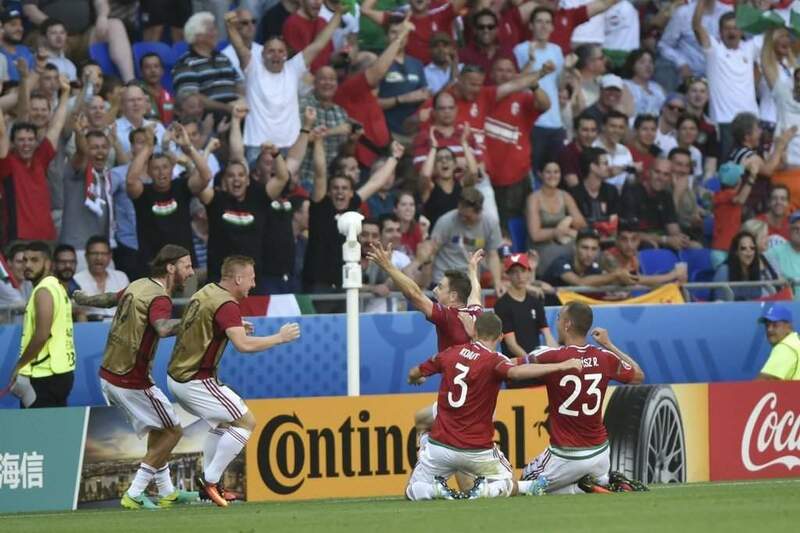 The deadlock would be broken after 19 minutes, 37 year-old Zoltán Gera becoming the second oldest scorer at a European Championship, and what a goal it was. With a Dzsudzsák corner from the right being headed into his path some 25 yards from goal, the experienced midfielder chested the ball down before unleashing a crisp half-volley through the legs of Ricardo Carvalho and past Rui Patrício from all of 23 yards low into the right corner of the net. With Portugal rocked, Hungary missed an opportunity to go two up not long after, Ákos Elek finding himself in space in the box but seeing his effort punched to safety by the Portuguese goalkeeper. 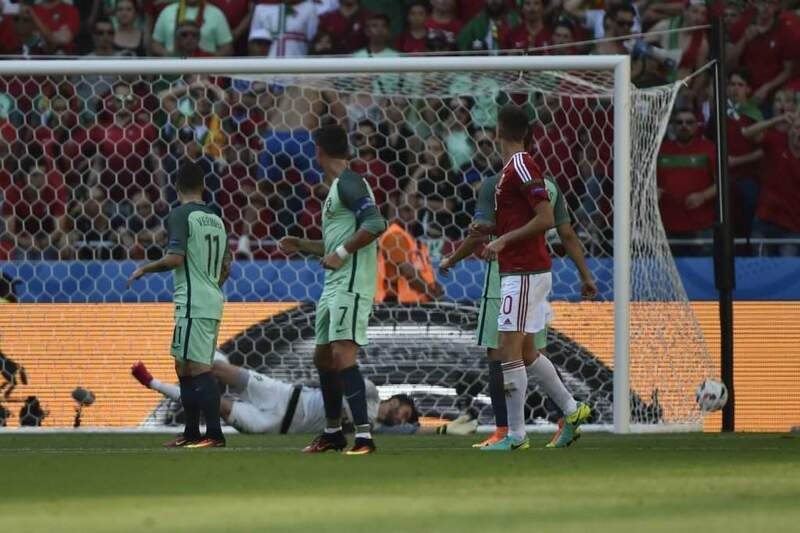 Gábor Király was called into action on the half-hour, palming away a long-distance Cristiano Ronaldo free kick as Portugal continued to press. 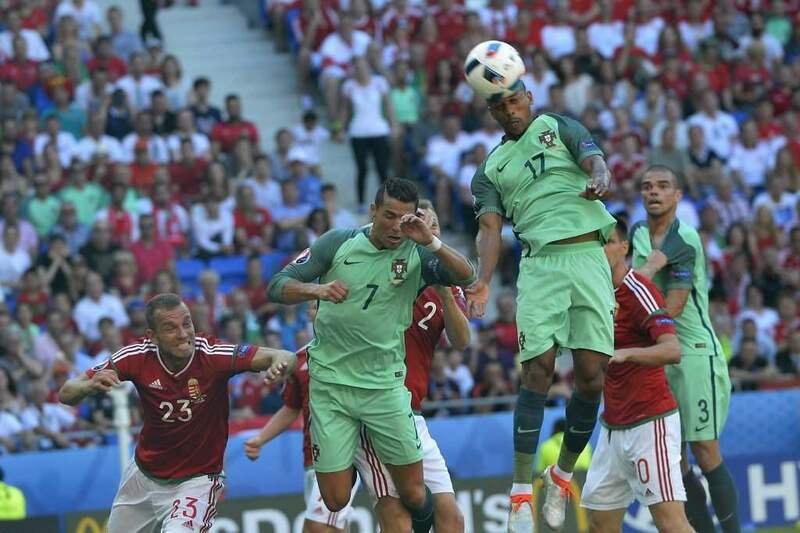 They would be level minutes before the break, their pressure finally paying off as a delightful slide-rule pass from Cristiano Ronaldo bisected the Hungarian defence, and Nani lashing the ball low, first-time, past Király to make it 1-1. The second half began in frenzied fashion, four goals in 16 minutes setting the final score of 3-3. 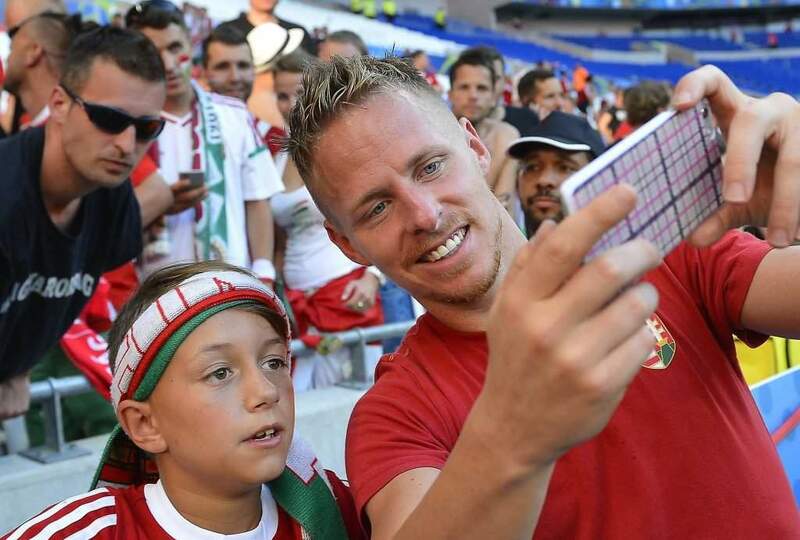 First, Balázs Dzsudzsák restored Hungary’s lead after 47 minutes as he fired home a free-kick from 25 yards, the ball deflecting off the shoulder of André Gomes and whizzing high past Rui Patrício. 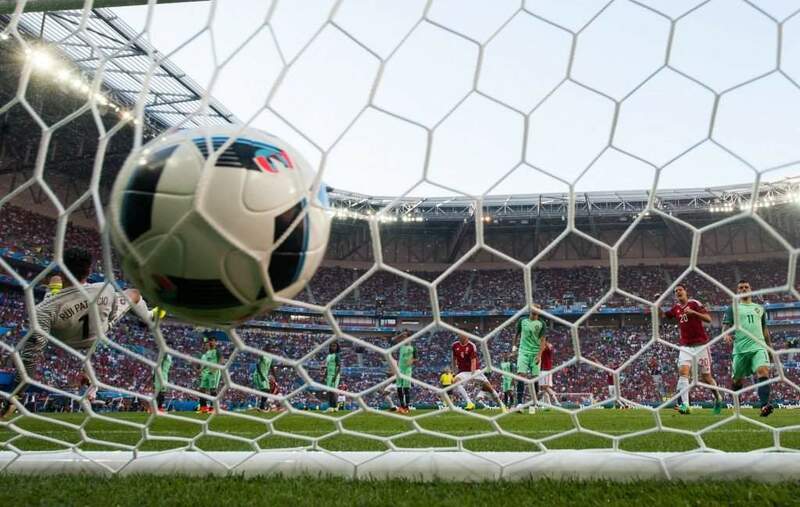 Portugal were level three minutes later, Cristiano Ronaldo opening his account at EURO 2016 as he met a cross from the right by João Mário to flick the ball exquisitely past Király into the corner of the net. 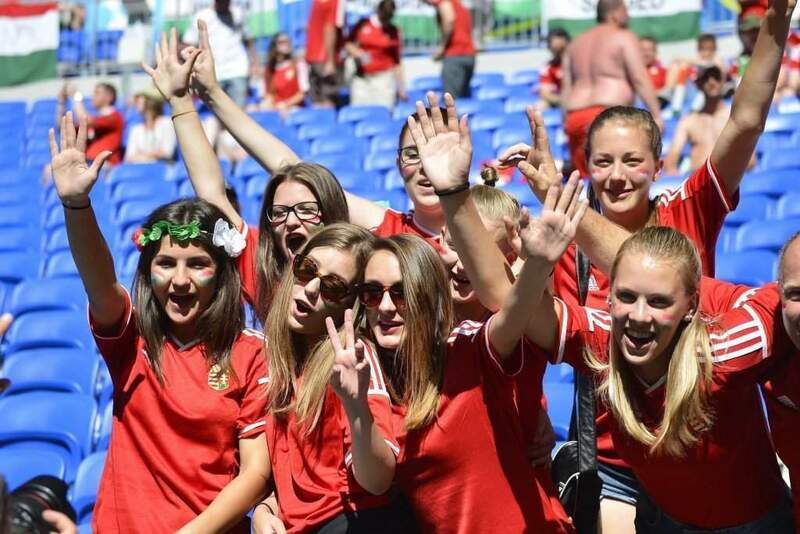 Hungary were ahead again by the 55th minute, again Dzsudzsák the scorer. 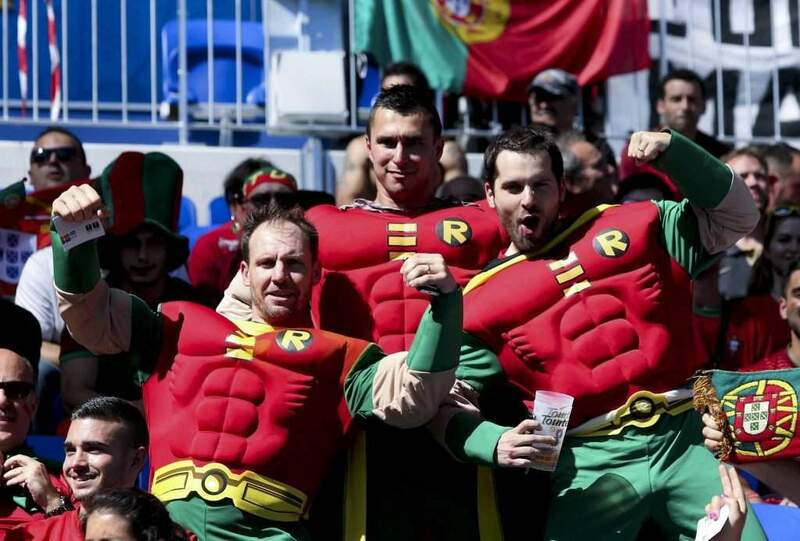 With his initial free-kick coming back to him off the wall the Hungary captain cut inside before firing goalward from the edge of the box, his shot skimming up off Nani and dipping past the outstretched arm of Rui Patrício into the far corner. 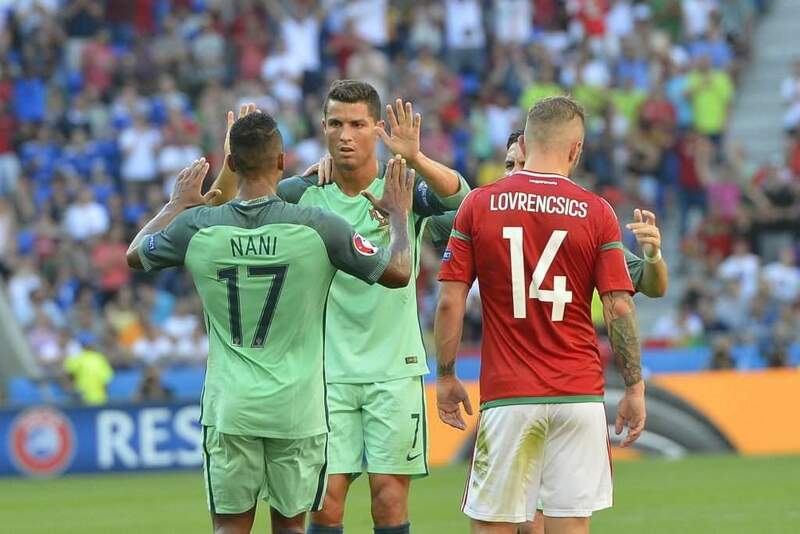 Cristiano Ronaldo was not to be denied however, rising to meet a Ricardo Quaresma cross ahead of Roland Juhász in the 62nd minute to plant a firm header past Király and level the scores at 3 apiece. 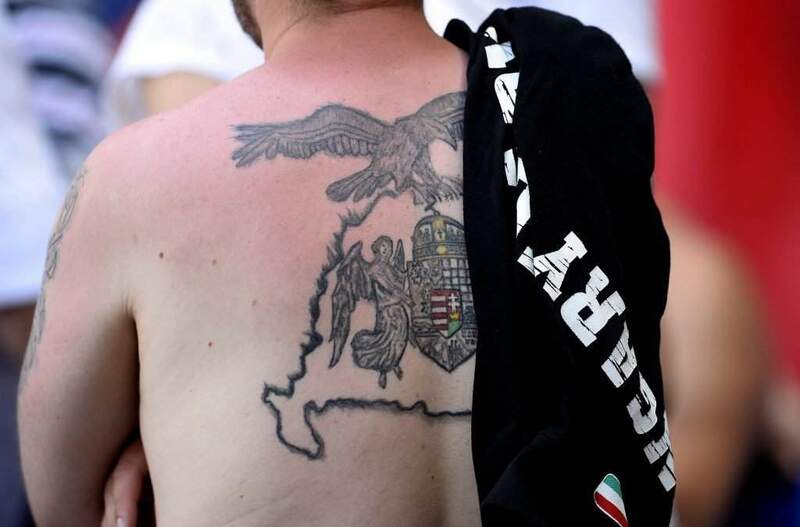 Ádám Szalai rattled the post only moments later, blasting a close-range shot off the upright from a Gergő Lovrencsics cross, but with Hungary safe in the knowledge that a draw would secure first place they seemed relatively content to concede territory to Portugal as the match wore on. Strangely, given the start to the second half, the last twenty minutes saw little goalmouth action as both sides had to settle for a share of the spoils. Iceland’s late winner in their 2-1 win against Austria in Saint-Denis sees them finish with five points, second behind Hungary on goal difference. Portugal finish third with three points, meaning a last-16 encounter with Croatia whilst Austria finish bottom of the group with a solitary point. 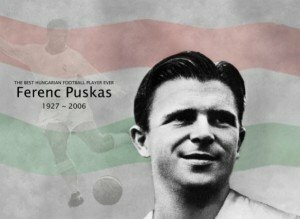 Hungary: Gábor Király – Ádám Lang, Roland Juhász, Richárd Guzmics, Mihály Korhut – Ádám Pintér, Ákos Elek – Gergő Lovrencsics (Zoltán Stieber 83’), Zoltán Gera (Barnabás Bese 46’), Balázs Dzsudzsák – Ádám Szalai (Krisztián Németh 71’). PreviousCelebrating Olympic Day: Hungary is the 8th most successful nation ever!